Wash and clean all vegetables. Peel potatoes and grate them. Grate cauliflower florets in a mixer grinder. Remove the seeds of capsicum and chop it finely. Grate tomatoes with a V-Slicer or chop them finely with a knife. Peel onion and chop it. Peel the skins of small onion and garlic. In a mixer grinder grind small onion, garlic and ginger adding some water to a fine paste. Take tamarind in a microwave safe bowl and add water to it. Place this bowl in oven and cook on high power for 30 seconds. Cool it and grind it to a fine paste. In another microwave safe bowl take grated potatoes and grated cauliflower and add some water. Place this bowl in oven and cover it partially. Cook on high power for 5 minutes. Stir once with a spoon and again cook on high power for 3 minutes. When the vegetables are still hot mash them with the back of a spoon. Take these mashed vegetables into a bowl and keep them aside. Take green peas in a microwave safe bowl and add some water. Place this bowl in oven and cover it partially. Cook on high power for 3 minutes. Stir once with a spoon and again cook on high power for 2 minutes. When the vegetables are still hot mash them with the back of a spoon. Take these mashed vegetables into a bowl and keep them aside. Take chopped capsicum in a microwave safe bowl and add some water. Place this bowl in oven and cover it partially. Cook on high power for one and half minutes approximately. Take these cooked capsicum pieces into a bowl and keep them aside. Now take tomato pieces into a microwave safe bowl. Place this bowl in oven and cover it partially. Cook on high power for 3 minutes. Stir once with a spoon and again cook on high power for 2 minutes. When the tomatoes are still hot mash them with a masher till smooth. Take these mashed tomatoes into a bowl and keep them aside. Heat a pan and add oil to it. When the oil is hot add the chopped onions and fry till they turn crisp. Then add the onion-ginger-garlic paste and fry till dry. Add the cooked capsicum pieces and fry for few minutes. Then with the help of a masher mash the mixture in pan. Add the cooked tomatoes and mash again. Now add the cooked green peas, cooked potatoes and cauliflower mixture. Mix all well and mash well. Add some water, salt and tamarind paste to the curry and mix well. Cook the curry for some time. In a plate, mix red chili powder, pavbhaji masala and turmeric powder. Heat a pan and add butter. Melt the butter. Stir the melted butter with a spoon and switch off the flame. Add the mixed spice powder to the melted butter and mix. Add some chopped coriander leaves to this butter mixture and mix well. Add this prepared butter based mixture to the curry and mix all well. Cook for few minutes and the Bhaji (Curry) forPavBhaji will be ready to be served. Transfer the curry to a serving bowl and garnish with the remaining chopped coriander leaves. Take Pav slab and break it into pieces. Cut each piece of Pav horizontally. Do not cut fully—cut three-fouths of the Pav. Similarly cut all the Pav’s and keep them aside. Heat a Tawa. When the Tawa is hot add about a tsp of butter and fry each piece of Pavbread. Fry till golden and keep it in a serving plate. Similarly fry all the Pav pieces. While serving take a plate and put three pav pieces in it. In a bowl put some chopped onions with a lemon wedge on them. In another bowl put some Bhaji. Place these bowls in the serving plate and serve them hot. Prepare Pav freshly and serve to enjoy the taste. Chop all the vegetables into small pieces so that it would be easy to mash them while cooking. Be liberal in using butter. It is because of this butter only this dish has a special taste. While cooking the vegetables in microwave oven do not cook mixing all vegetables. Instead follow the movie and cook them separately. By cooking them separately, we can have the feel of the vegetable while eating. Mashing the vegetables when they are being cooked gives the right consistency to the curry. When the vegetable is hot it mashes easily. When we mash with a masher some portion of the vegetable gets mashed and some portion remains as it is. The texture is maintained when we mash them while cooking instead of grinding all the cooked vegetables and preparing the curry. While grinding chutney, there will be a difference when ground in a mixer grinder and a mortar and pestle. Similarly when mashed the vegetables have a different texture to that of ground vegetables. So use a masher and mash the vegetables while they are being cooked. Don't be tempted to ground the vegetables and preparing the dish. When the spices (chili powder, pavbhajimasala and turmeric) are directly added to the curry, they absorb water from the curry and they taste as COOKED MASALA. When they are mixed with melted butter and then added to the curry they taste as FRIED MASALA. There is difference in both the tastes, so use it as fried masala to get better taste. Once the butter is melted do not forget to switch off the flame before adding the spices. Otherwise the spices get burned and the taste gets spoiled. Similarly chopped coriander when added to the hot melted butter gets fried to some extent and brings a nice flavor. Fry the Pav bread liberally with butter to get a good taste. Do not try this recipe when you don’t have butter and coriander leaves. They both add special flavor to this dish. As cauliflower is available only in the season, Cabbage can be substituted for cauliflower. Prepare your Pav and Bhaji watching the video and following the points discussed here and enjoy the praises of your family members. Last but not the least - serve them with butter milk in the end to have a filled stomach. Buttermilk acts as an antidote to the heavy quantities of butter used in pav-bhaji. It is advisable to feed only 3 pavs to one person. Don't encourage and give more pavs. They expand after getting into the stomach. 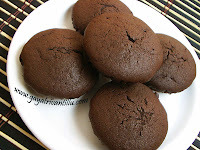 As we are using lot of butter in this recipe eat in limited quantity. You can enjoy this dish by preparing it any number of times but in limited quantities ONLY. 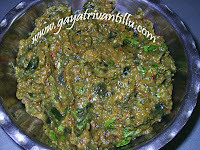 me recipes try chestunnanu and anni chala baga workout avutunnayi. 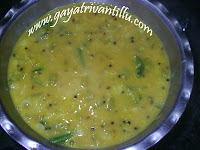 nenu masalas(sambar,chaat, pav bhaji, garam masala etc.,) anni intlo chesukovatam istapadatanu so vaati recipes unte upload chesthara plz naaku chala help avutayi. Very happy to receive your feedback. I also prefer to make the masalas at home only but not all can I make example - pavbhaji, chat masalas. I grind the paste or powder as the case, almost instantly to have the full value (aroma and taste). Sorry, I am not able to help you. I tried your receipe of pav bhaji and my family got to relish it, I have tried other ways to make bhaji but unfortunately it never turned out to be as good as what I tried by using your receipe. I was very happy by the way dish turned out after cooking it. Though the process is too tedious, well you get paid for hard work at end when you see your bhaji kadai consumed till its bottom. Thanks for sharing your receipe.